Ban Johnson had originally intended to move the Milwaukee Brewers to St. Louis. 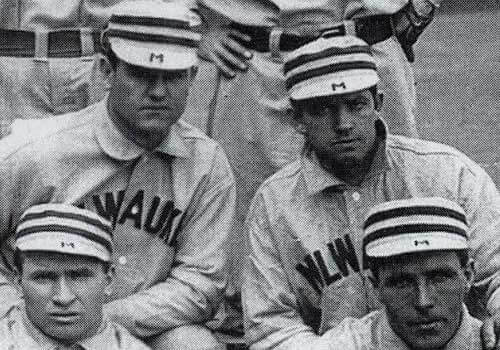 When he couldn’t find a suitable owner, he was forced to operate the team in Milwaukee for a lame-duck season in 1901. In 1902, however, he found a suitable St. Louis-based owner in carriage maker Robert Lee Hedges, who moved the team to St. Louis and changed their name to the “Browns”, in reference to the original name of the 1880s club that by 1900 was known as the Cardinals. Hedges built a new park on the site of the old Browns’ former home, Sportsman’s Park.